Hello friends! I hope your weekend was a fun as mine! Kevin and I had our good friends Mike and Samantha staying with us and we had a blast! 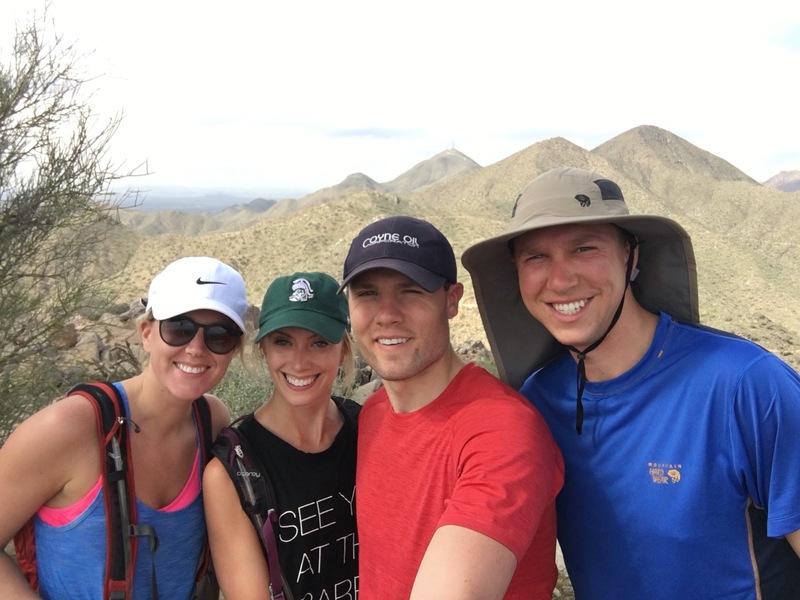 Mike and Samantha live in Michigan so they were excited to come spend some time with us in sunny Scottsdale. We had an action packed weekend. On Friday we soaked up some sun by our pool and caught up. We may have even cracked a brew poolside while reminiscing about our college days (the good old days). Later on Friday we had a surprised planned for the guys. 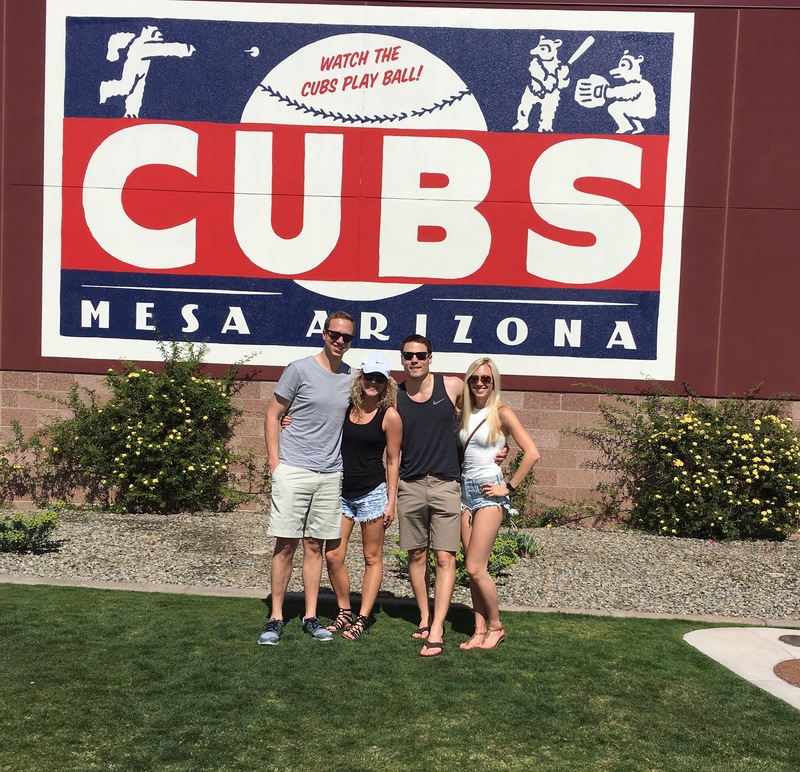 We used to go to Wrigley Field together when we both lived in Chicago to cheer on the Cubs, so we thought it would be fun to go to a Cubs spring training game together. Nothing beats baseball and a Cubs win on a sunny day. Go Cubs go! 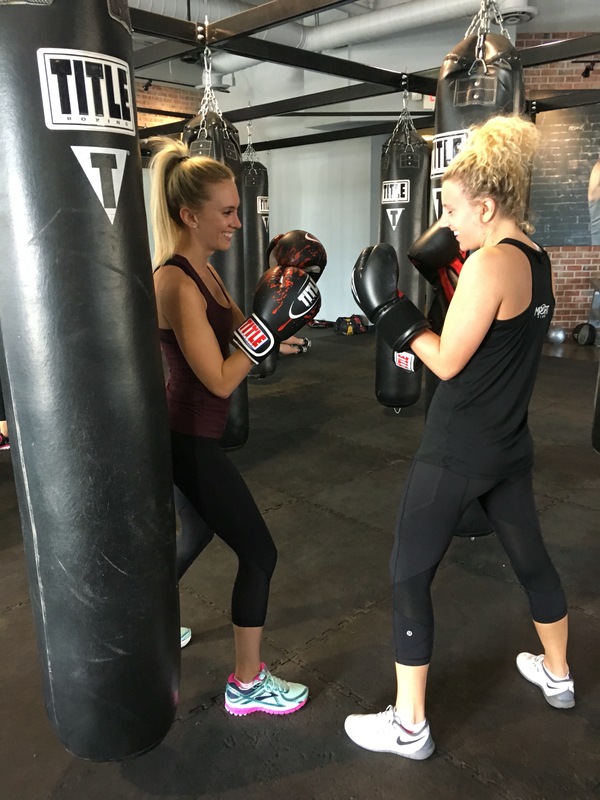 On Saturday, Samantha and I went to a boxing class bright and early. She had done a boxing class before so I had her show me the ropes (no pun intended), but caught on pretty quickly. It was a great calorie blasting working, mixing in 8 round of boxing on the bags with squats, pushups, and burpees in between. After we finished we headed to the spa for a massage before the boys joined us for lunch. 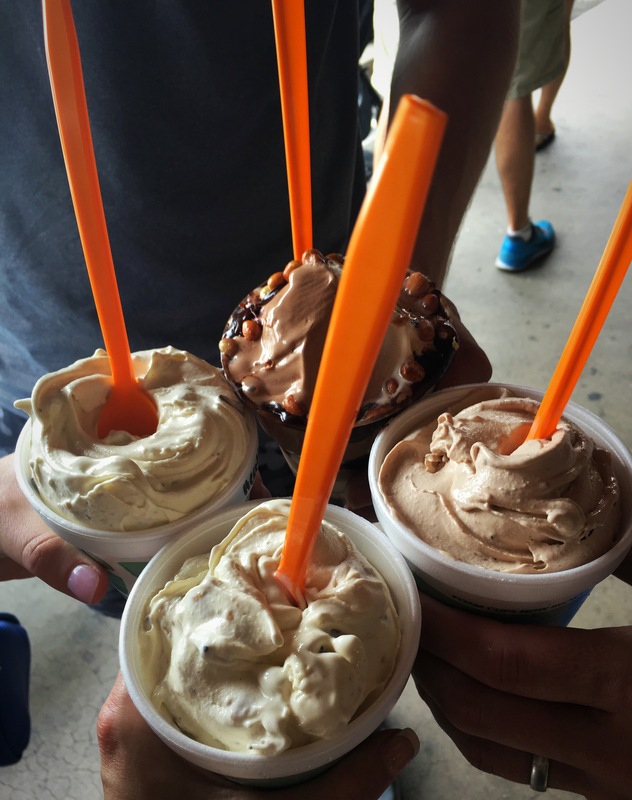 Later in the day we got some ice cream from Shakes & Cones in Old Town and took a stroll around Old Town Scottsdale. We were lucky enough to witness a cowboy show in the park that we found pretty funny and enjoyed showing Mike and Samantha around. On Sunday the boys went golfing and we did a little shopping in the morning. 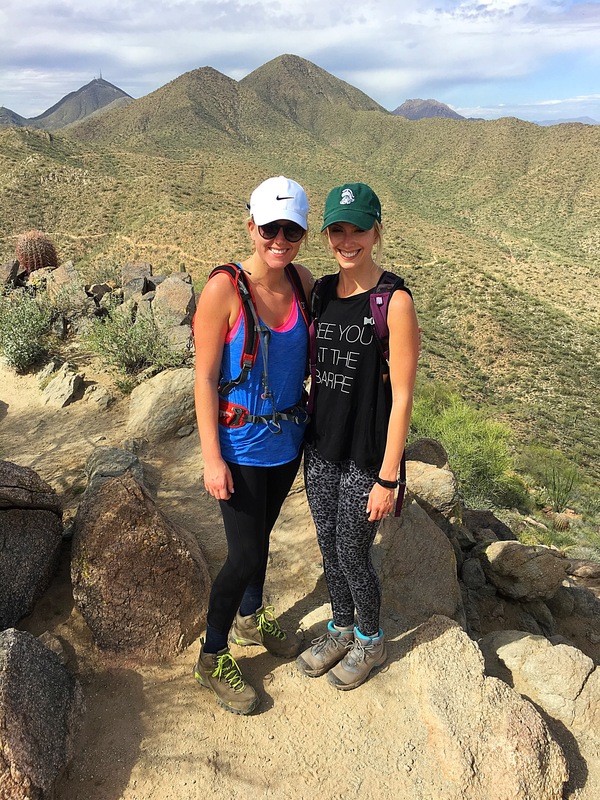 After a great lunch we hiked Sunrise Peak and took in some beautiful views of the city. We are headed to Peru in July together to hike the Inca Trail to Machu Picchu so it was great to break in our hiking boots and get some practice! 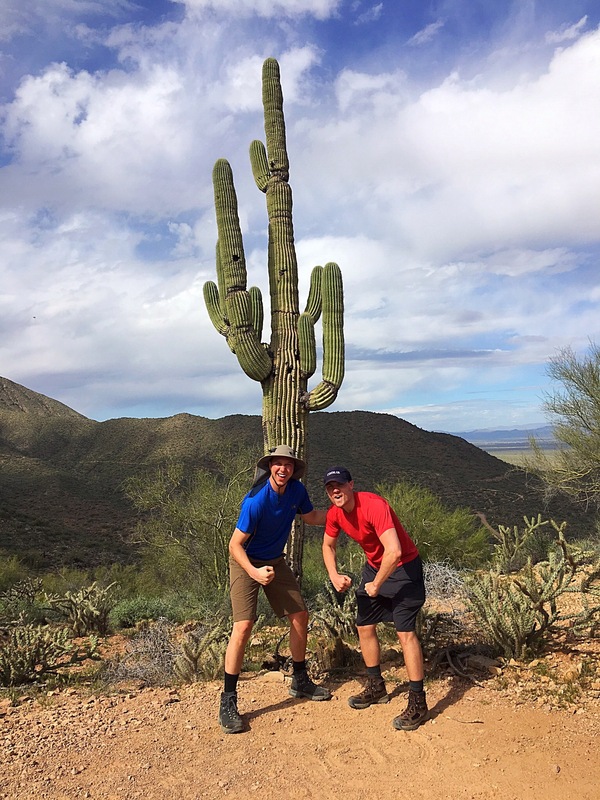 The boys had a little too much fun posing with the cactus and showing off their muscles. What goofs we have for husbands! It was sad when the weekend came to an end. We had such a great time with Mike and Samantha. We wish we lived closer to each other. I guess the distance is an excuse to plan some more fun trips together!